DENSYTOMETRIC BONE TESTS on a modern MEDIX-DR device. 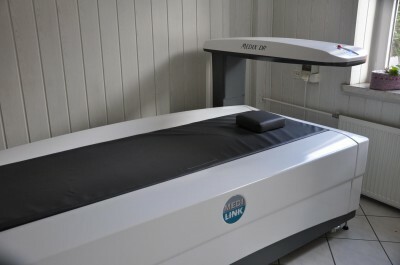 A type of X-ray examination that is used to assess bone mineral density. It is one of the basic tests used in the diagnosis of osteoporosis. It helps the doctor assess the risk of bone fractures and in some cases decides whether to initiate osteoporosis treatment. Comprehensive examination (2 sections) for 90 PLN. Examination (1 section) for 50 PLN. to the Połczyn Spa Resort, the PGU SA Group.